On August 14th 2008 Oasis played at the Black Island Studios in London, England. The gig was the first time that fans would hear songs from 'Dig Out Your Soul' live. 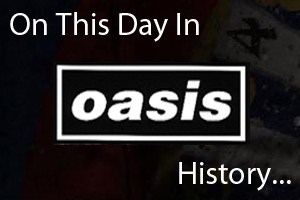 On August 14th and 15th 1996 Oasis played the first of two dates at the Pairc Ui Chaoimh in Cork, Ireland. Support for the gigs came from 'The Bootleg Beatles' and 'The Prodigy' scans and more from the gig can be found here.